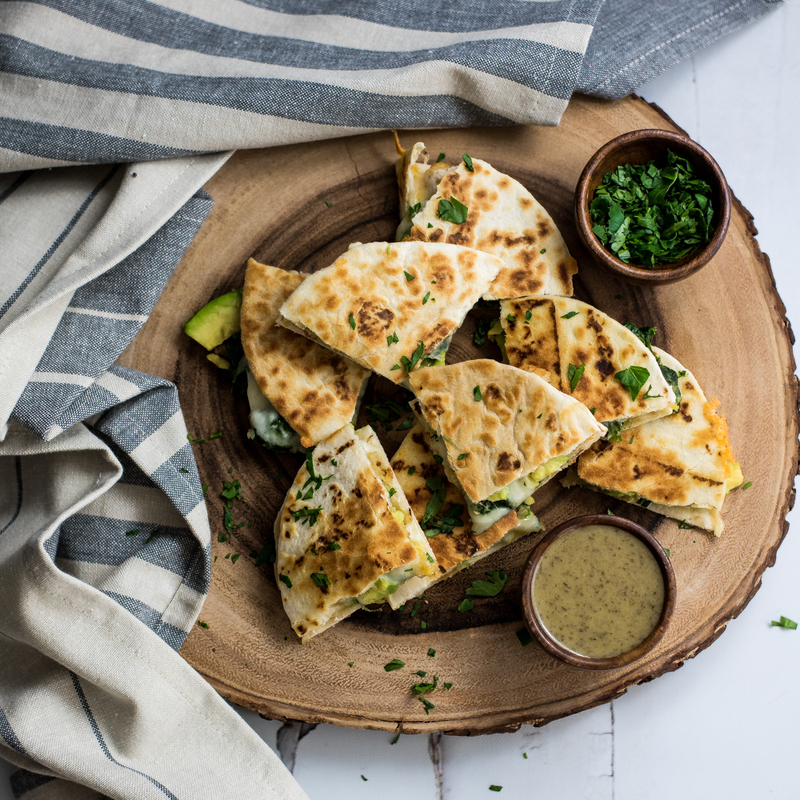 Mini Spinach and Shrimp Quesadillas with Avocado are the perfect after school, after work, or late night snack! They are super simple, quick, and delicious! 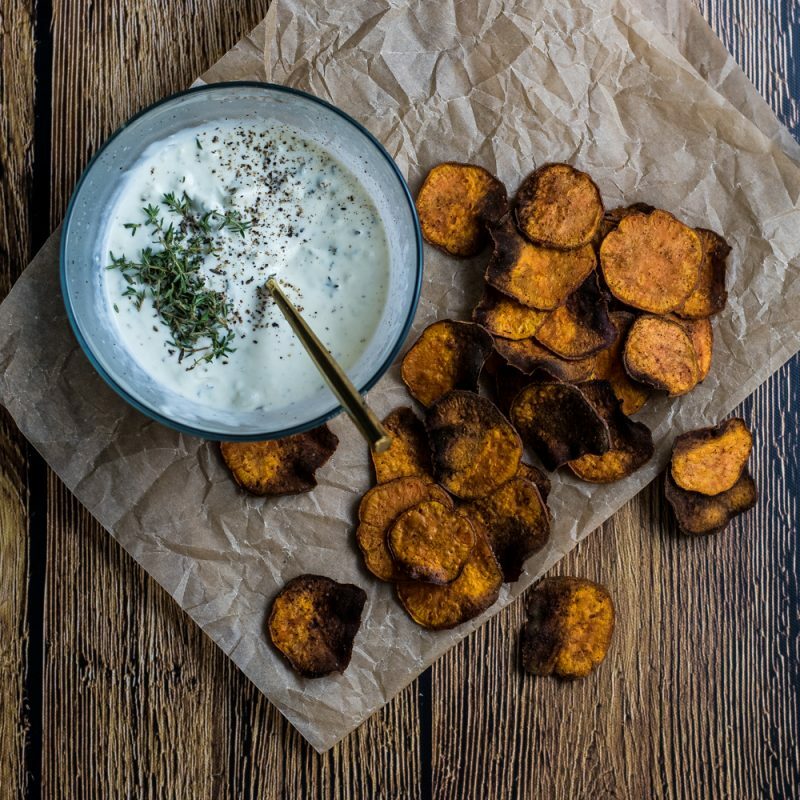 Turmeric sweet potato chips with mascarpone dip is a healthier appetizer recipe where the chips are baked and not fried, and the dip is loaded with herbs! 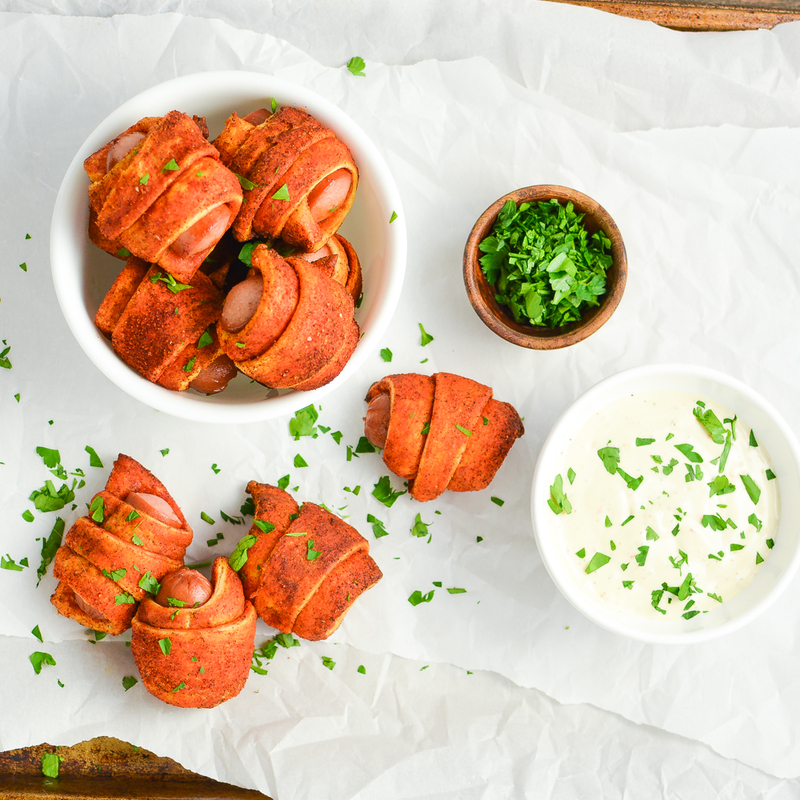 Spicy Pigs in a Blanket with Homemade Ranch Dressing is the perfect appetizer recipe for game day or movie night! 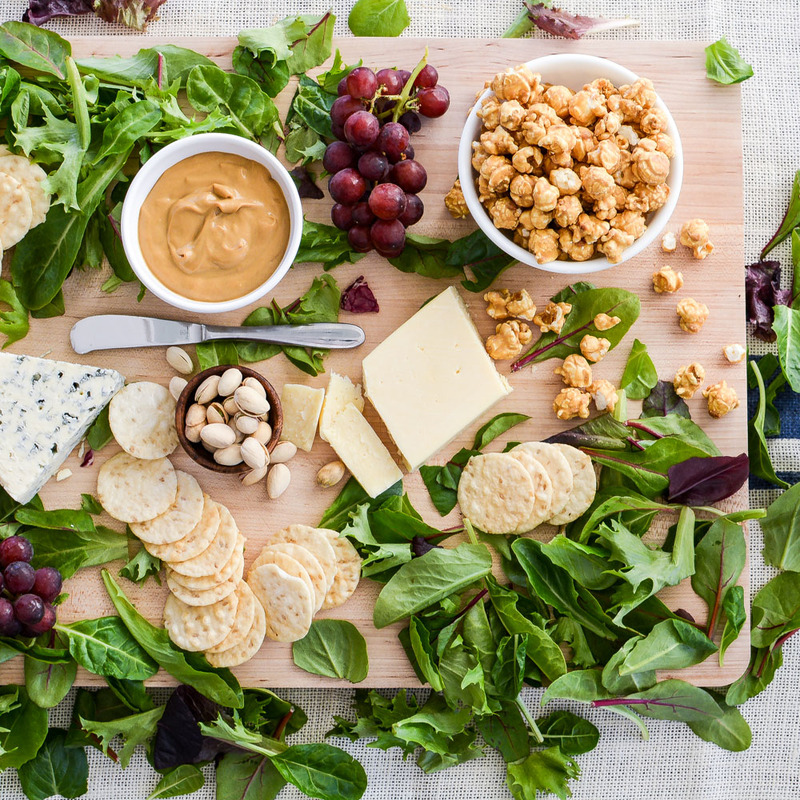 Invite your friends over, pour a glass of wine and enjoy this Caramel Corn + an Oscar Night Cheese Board! 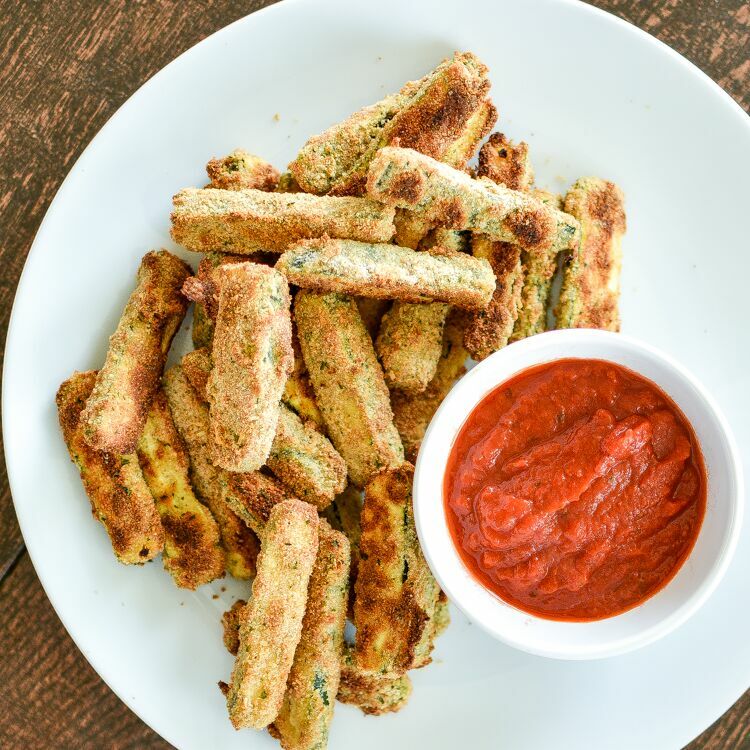 Almond-Crusted Zucchini Sticks are gluten-free and dairy-free. They are the perfect afternoon snack, quick lunch or weeknight dinner recipe!